Chinese symbols2. 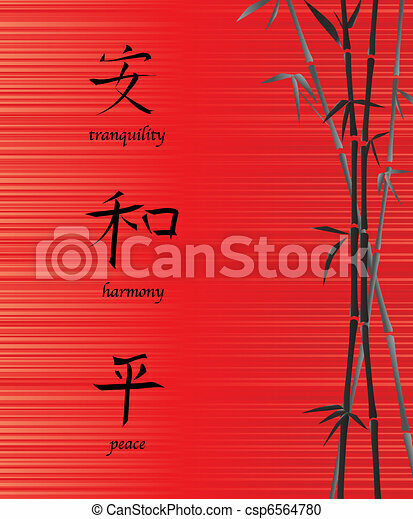 A vector illustration of chinese symbols for tranquility, harmony and peace. on red sild background with bamboo.